If you were to enquire about the new car market just a couple of months ago, you’d be greeted with nothing but positive news. UK new sales registered their highest level for September on record, including gains in private, fleet, and business sales. This meant that car sales had increased for 43 months in a row, with March being highest monthly level of new car sales this century. However, the latest figures from October show that the record-breaking run has come to a halt, with the number of new cars registered in October down to 177,664. This represents a drop of 1.1% compared to the same month a year ago, according to the latest figures from the Society of Motor Manufacturers & Traders. 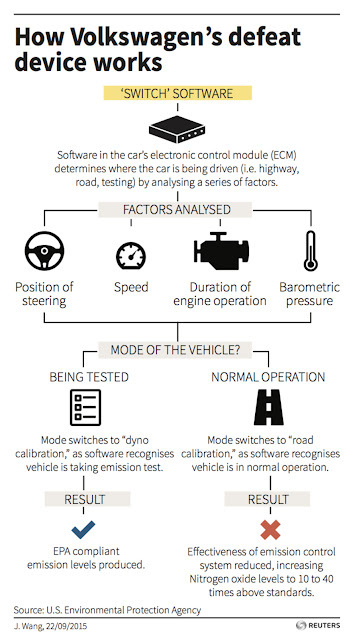 The recent Volkswagen emissions scandal, where the company rigged in-vehicle software to defeat emissions testing, has been seen as the main cause for sales slowing down. Further analysis of the data showed that sales of the Volkswagen vehicles were down 9.8%. The Group’s other subsidiaries, which include numerous marquees, also suffered from mixed fortunes. SEAT sales fell a massive 32.2%, while sales of Audi cars actually increased by 2.2%. The deception could not only hurt Volkswagen vehicle’s resale value down the line, but could also end up costing over $100m in health costs to the economy. Elsewhere, shoppers still in need a vehicle were found to be being well-served in the used market. The latest figures show that used car sales are up to nearly 1.9 million vehicles during Q2 of this year. This represents a 7.3% increase compared to the same period in 2014, the fastest rate for almost 10 years. In fact, despite the problems that are prevalent at the moment, many industry experts feel that the current UK market is still in a very healthy position overall. Many have commented that a continuous month-on-month increase for the foreseeable future would have been unrealistic, and that it is natural for sales to eventually peak. How long the Volkswagen scandal will have an affect on the market is difficult to predict. One thing’s for sure, though, what has happened recently is certainly in the minds of those who are in the market for a new car. Let us know in the comments below if what has happened has affected your decision.